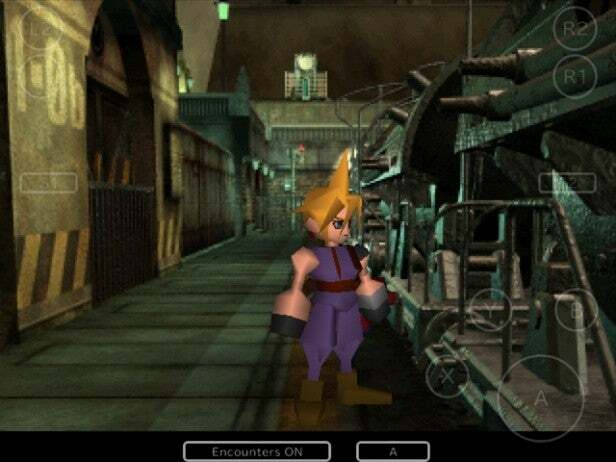 Classic Japanese roleplaying game (JRPG) Final Fantasy 7 has appeared in a recent Nintendo Switch commercial, sparking speculation that the fan favourite will be appearing on the Switch sooner rather than later. Final Fantasy 7 isn’t just one of the best loved JRPG games of all time, the 1997 gem is responsible for a lot of the tropes that now make up that franchise: spiky haired awkward protagonists, comically oversized swords, mixed with bonkers plot, orchestral music and over the top cutscenes. You can see a touch of that in the brief look at the game during this thirty second commercial for Nintendo’s Hybrid console here, as he tries to leather the guard scorpion — which 10 year old me remembers as the game’s first boss — on a flight. It’s hard not to be charmed by the game, although it has started to look long in the tooth in the 22 years since it first released. A PlayStation 4 remake has been in the pipes for a long ol’ while, and the original version is available on the PS Vita, PlayStation 4 and even the PlayStation Classic. But, can you batter the first boss of the game on a plane? Unless you have a PS Vita, sadly no. FF7 for Switch in 2019 was confirmed last year, although with the fact it’s appearing in advertisements for the Nintendo Switch now, it would seem a launch is planned soon. Now we all just have to hope for a Final Fantasy themed Nintendo Direct sometime soon.